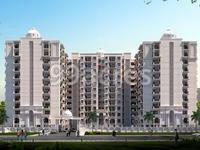 Aishwaryam Apartments is a residential development in Kakadev, Kanpur. The project is jointly built by Sapphire Developers and Indresh Developers. They provide 3BHK apartments with all necessities. It is approved by Uttar Pradesh RERA. What is the project location?The project is located at Kakadev, Kanpur. What are sizes of apartments in Aishwaryam Apartments? 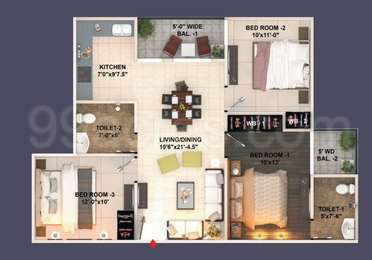 The apartment sizes in the project range from 934.0 sqft to 1350.0 sqft. 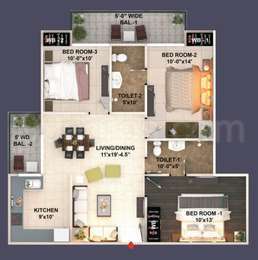 What is the 3 bedroom size in Aishwaryam Apartments? The area of 3BHK units in the project varies from 934.0 sqft to 1350.0 sqft. 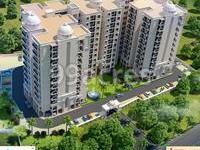 What is the area of Aishwaryam Apartments?The total area that the project occupies is 1.75 Acres. How much is price of 3bhk in Aishwaryam Apartments? The price of 3 BHK units in the project ranges from Rs. 5110600 to Rs. 5999400. What is the price of apartments in Aishwaryam Apartments? The units available in the project are priced at Rs. 5110600 to Rs. 5999400.